Jack Roth is a Realtor with the Carolina Real Estate Company. He is a native of Atlanta and brings with him over 30 years of experience in home building, renovation and Real Estate sales. Jack has extensive experience in new home construction as well as remodeling. He is a strong proponent of the team approach in real estate, after managing multiple teams with home renovations in Atlanta. Jack was very active in community relations in Atlanta with the Atlanta Habitat for Humanity and various children’s charities. His hobbies are photography and woodworking, and he enjoys mountain biking, golf and tennis. He currently volunteers his time working on the Board of Directors of the Aiken SPCA as well as volunteering with the Aiken Land Conservancy. He and his wife Katie are also proud members of Friends of the Woods, a local organization with a mission to protect and preserve the 2100 acre Hitchcock Woods, located in Downtown Aiken. Katie enjoys training with her Holsteiner mare Taiga in dressage. She is Editor and Publisher of the New Bridge Polo Magazine and also is responsible for Public Relations and Marketing of New Bridge Polo and Country Club. Jack has two sons, one works at Ferrari of Atlanta and the other is a graduate of USC in Columbia, graduated in 2016 with a Masters of Music at LSU in Baton Rouge and is now pursuing his Doctorate Degree at the Hartt School of Music in Connecticut. 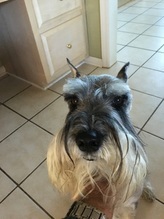 Jack and Katie also have an 8 year old Standard Schnauzer named Sammi, and a 3 year old Giant Schnauzer named Maximus!